Screen printing is our most popular form of apparel customization. Using silk screens and special inks we transfer your design onto your garment, one color at a time. We can print artwork that has up to 6 colours. Whether you need 12 or 1000 we do primo screen printing with service that is second to none. From small left chest prints to large back prints to custom ink colours, screen printing is a great way to custom decorate your garments. 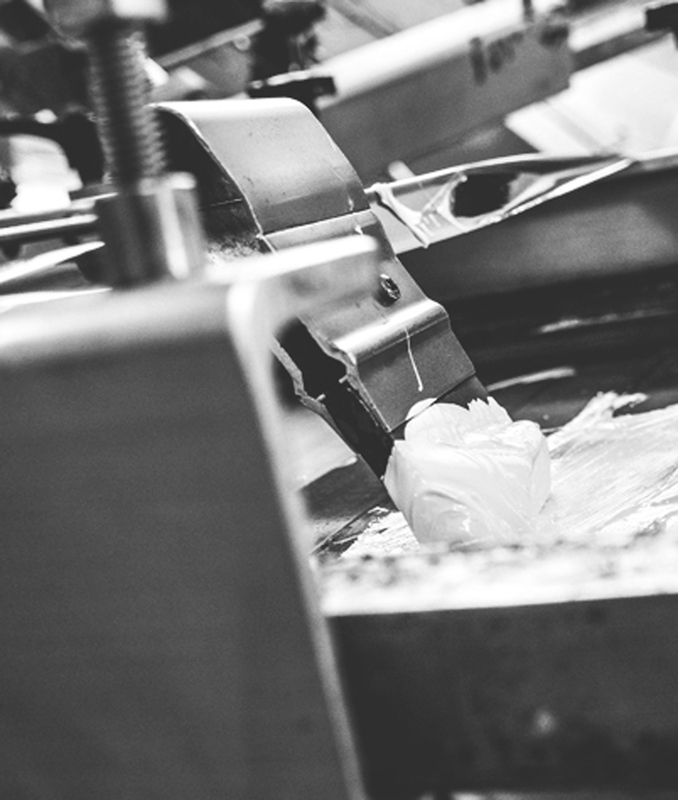 Our inks are properly cured onto the garment so your going to get quality prints that last. We use the right ink for the right fabric type. Screen printed garments are great for business apparel, brand identity, events, staff identification, merch or personal projects. We can print on tees, tanks, hoodies and crewnecks all within the same order. Really customize your order to suit your needs. Have some fun with it! Regardless of the size, simplicity or complexity of your art, we will guide you on the best way we recommend printing your artwork for maximum outcome. Sorry no individual prints! A lot of work goes into screen printing. Starting with your artwork we create film positives. After this, the screens department burns your art (the film) onto screens. Next, we setup the press to run the shirts. It’s a time consuming multi step process therefore not feasible for us to do individual prints. Have an order in mind and ready to take the next step? ©2019 A Brick Shirt House Inc.